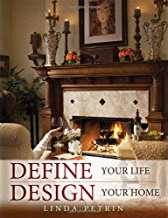 Have you read the book Define Your Life –Design Your Home and developed some questions? Are you taking on a design project but are not sure how to apply some of the principles? Do you want some assurance you are going in the right direction? We know there are times when some design advice can get you over the hump or move your project forward. This is why we have set up e-interior design consulting. Get personal one-on-one advice with a professional consultant specializing in the 7 Lifestyle Principle approach. We begin with contact via email for a review of the questions you have. We may ask for additional information from you, such as room dimensions, photos, and scope of the project. Then we will set up a contact time to talk on the phone. Sometimes a phone consultation is all you need. We are offering consultations at this time, but additional services such as space planning and floor plans may be added in the future. Fees are $130.00 an hour, with a first time minimum fee of $130. Thereafter, fees are charged by fifteen minute segments, or $32.50 each fifteen minutes. Fees will be paid through Paypal prior to our services. When you are ready for a consultation, contact us here.